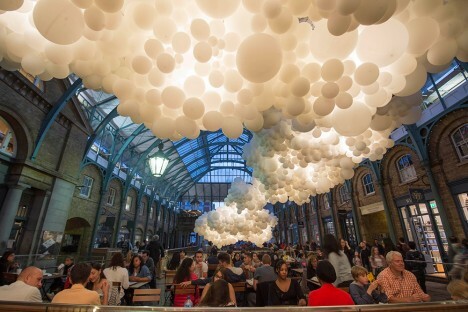 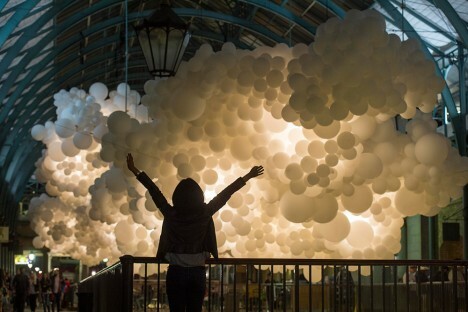 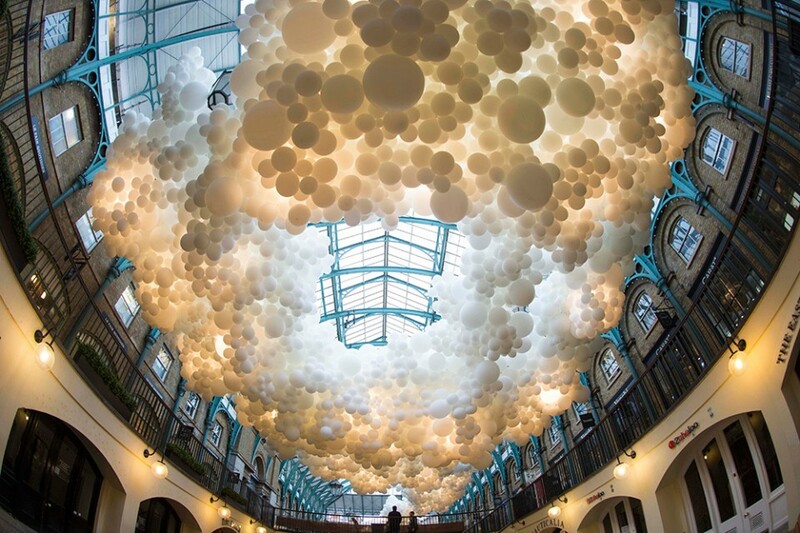 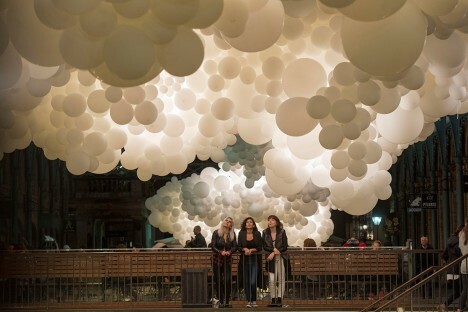 Pulsing with light and life, this incredible art installation provides Covent Garden, a glass-topped marketplace, with a kind of artificial interior skyscape. 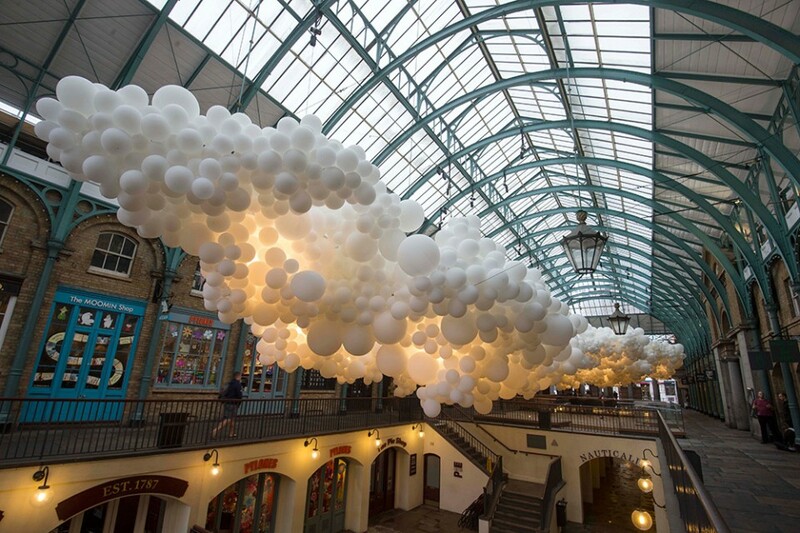 Created for the London Design Festival, you can watch a time-lapse video of its construction below. 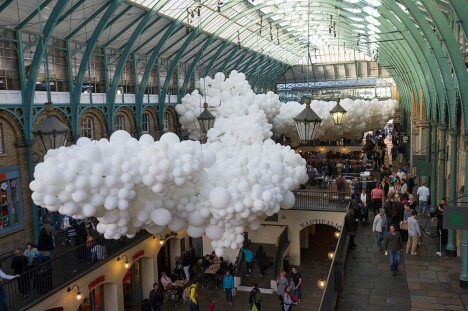 The ‘Invasions’ of Charles Pétillon are well known for popping up in cramped spaces, photographed, then removed, but this project is scaled far larger than his conventional pieces, is much more public and is also his first work outside of France. 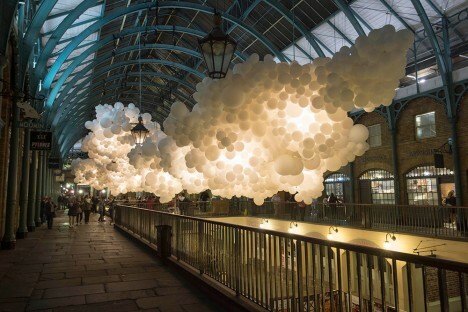 Over 100 feet long, this amorphous cloud organically weaves its way through a realm of historical brick and metal detail, a shockingly light, bright and fragile intrusion into a sharp-cornered combination of architecture and engineering.